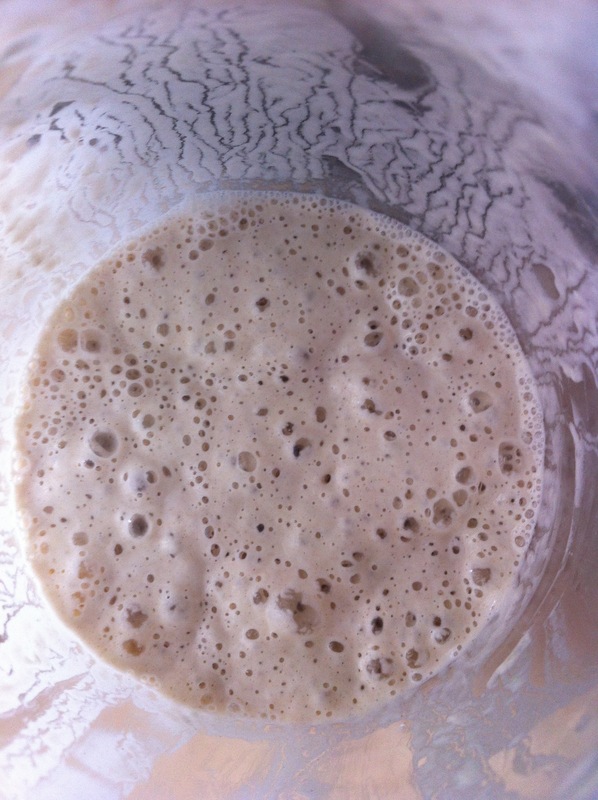 Last Sunday I decided to take the plunge and try and nurture a sourdough starter from scratch! After reading alot on the Internet I found out it is best for beginners to start off with an established starter and work from there. I am rather inpatient though and could not wait to get a starter from elsewhere. 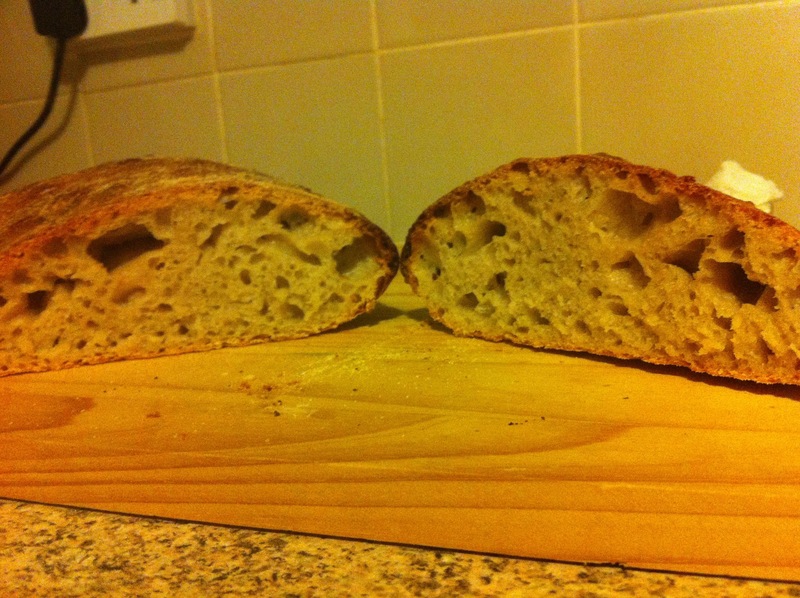 I followed a fantastic guide over at sourdough.com and so far things seem to be going on track to sour doms beginners guide. I thought I would share my progress so far :). 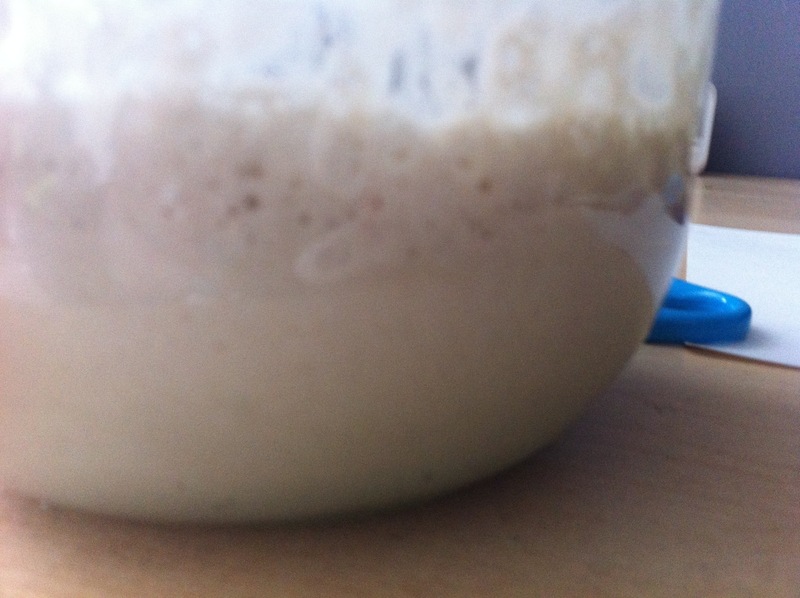 I fed the starter 50g strong white flour and 50ml filtered water everyday for the first 3 days, then discarded half and refreshed with 100g strong flour and 100ml filtered water for the last 2 days. I could see activity after day 3 but only very slight, it’s now safe to say something is certainly happening in there! Easter is the one time in the year when you can get away with having chocolate with everything! 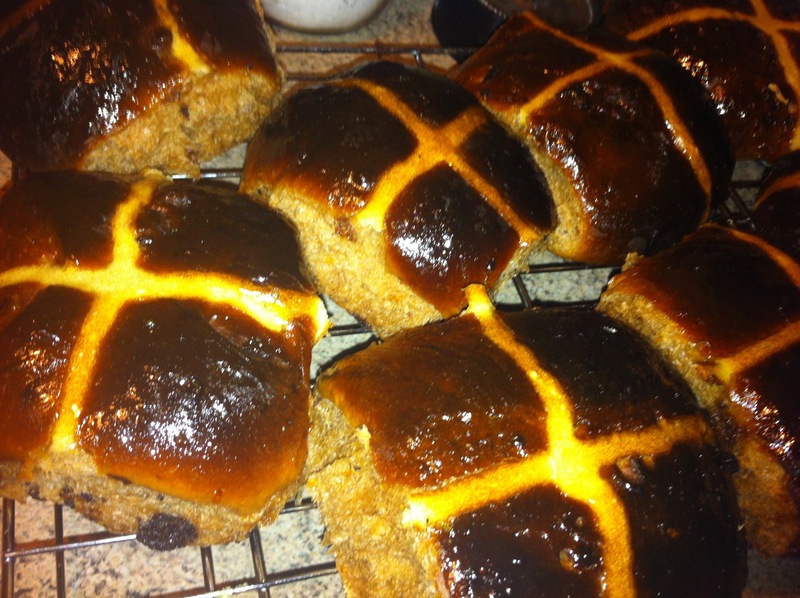 Why should hot cross buns be any different? As an avid fan of the great British bake off, of course I was going to watch the Easter special to see if I could get some seasonal inspiration. 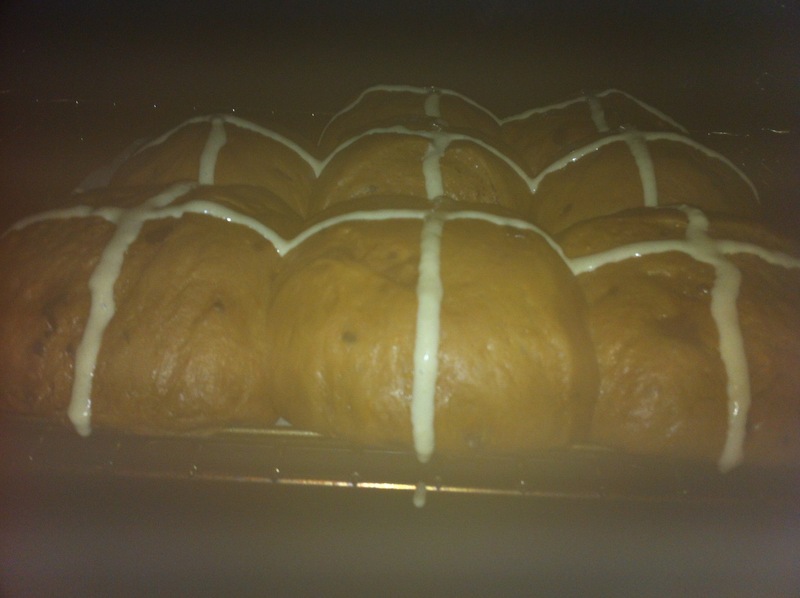 All of the recipes were fantastic as always but Paul hollywood’s hot cross bun recipe really caught my eye as I have never worked with an enriched dough before, so I took on the challenge. As I still wanted my buns to have great flavour I used orange zest and made a glazing syrup with the fruit as traditionally they are glazed with an apricot jam. 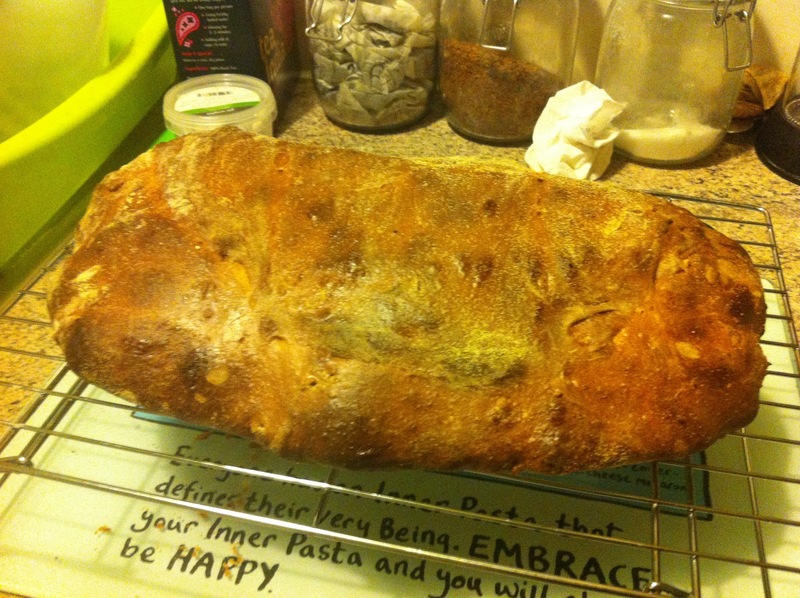 I hope this recipe inspires you to get creative and tamper with recipes to your liking. Warm milk in the microwave or in a pan and set aside. Place the chocolate in a bag and smash into small chunks with a rolling pin. Grate the zest from the orange with a fine grater. 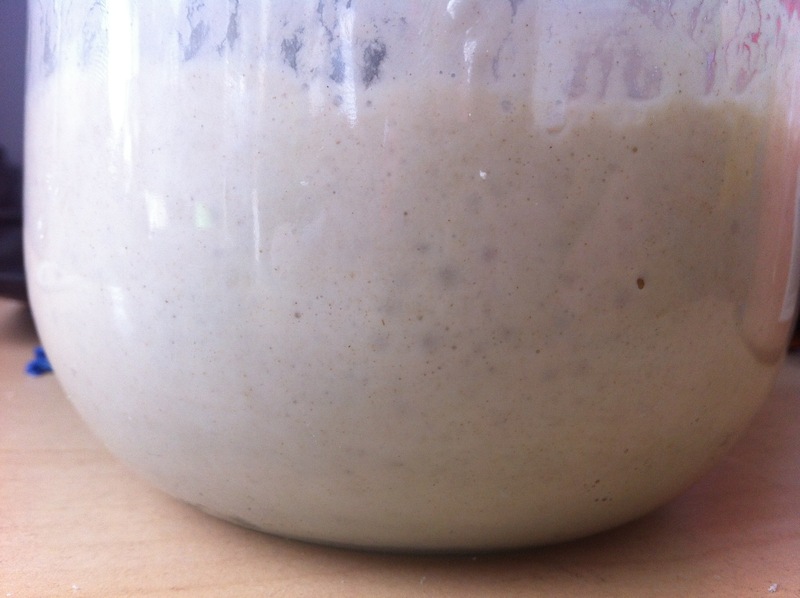 Sieve the flour into a bowl, add the sugar, salt, egg, cinnamon and cubed softened butter to one side and add the yeast to the opposite side of the bowl, ensuring the salt and yeast do not come in contact with each other. Roughly mix the ingredients together and slowly add the milk, you may not need to use all of the milk, just enough to make a sticky soft dough. 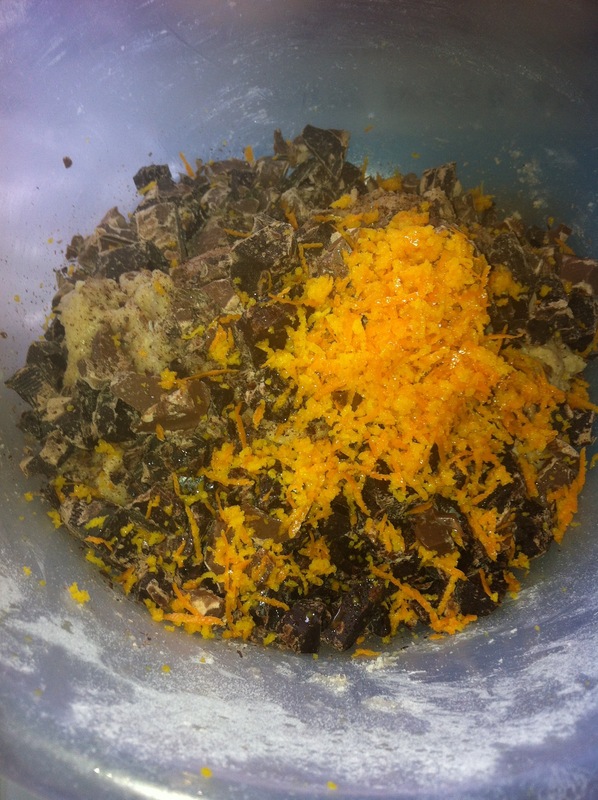 When well mixed add the orange zest and chocolate chunks to the mix, knead the dough in the bowl slightly just to combine the chocolate and orange. Add more milk if needed. Tip the dough out on to a floured surface and knead the dough for around 10 mins, pulling and stretching the dough until it becomes smooth. Slice the white pith from the orange in a downwards motion on a board, then when all the flesh of the orange is exposed, slice the individual segments out into a pan catching all the juice. When all segments are removed squeeze the rest of the juice out of the orange into the pan. Add the sugar and rapidly boil for 3 mins. Leave to cool. 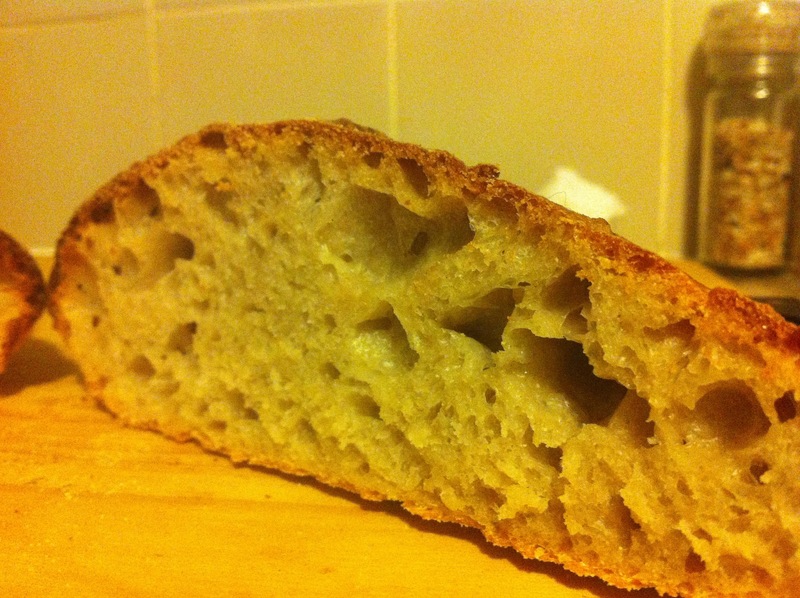 When the dough has doubled in size, tip the dough out onto a floured surface and knock the air out of it. Start to roll the dough into a large sausage shape, cut in half and half again until you have 12 pieces of dough. 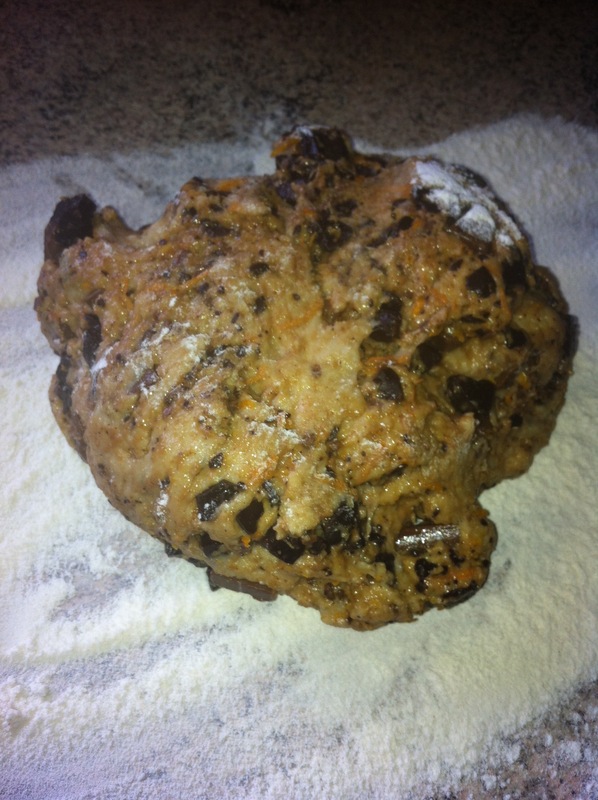 Roll the individual pieces of dough between the work surface and your palm to create perfect balls of dough. 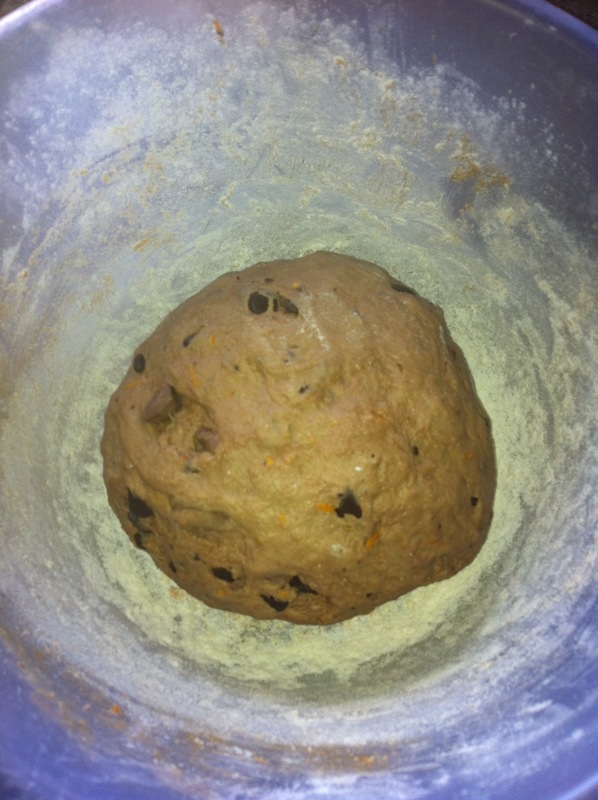 Cover a large baking tray with greaseproof paper and place the balls of dough fairly close to each other so as they rise again they touch each other. 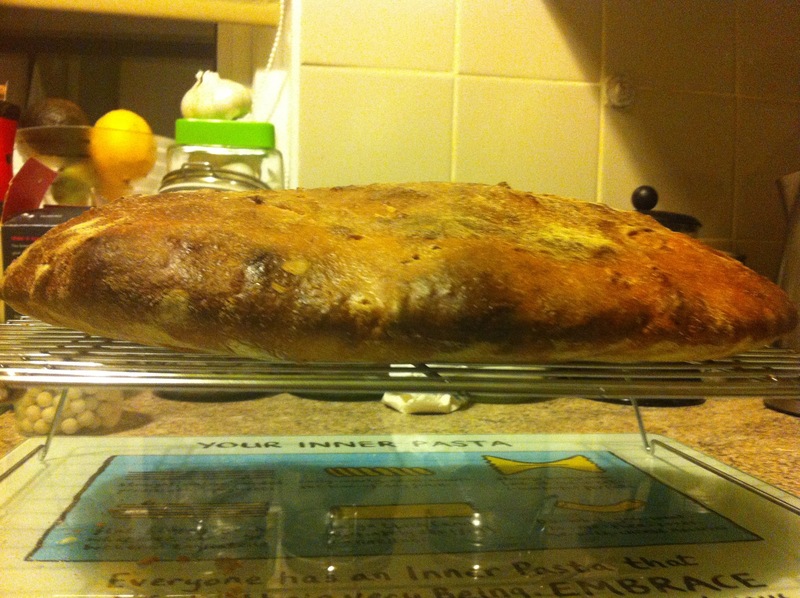 Cover the tray with cling film and leave to prove for a 2nd time in a warm place until doubled in size again. 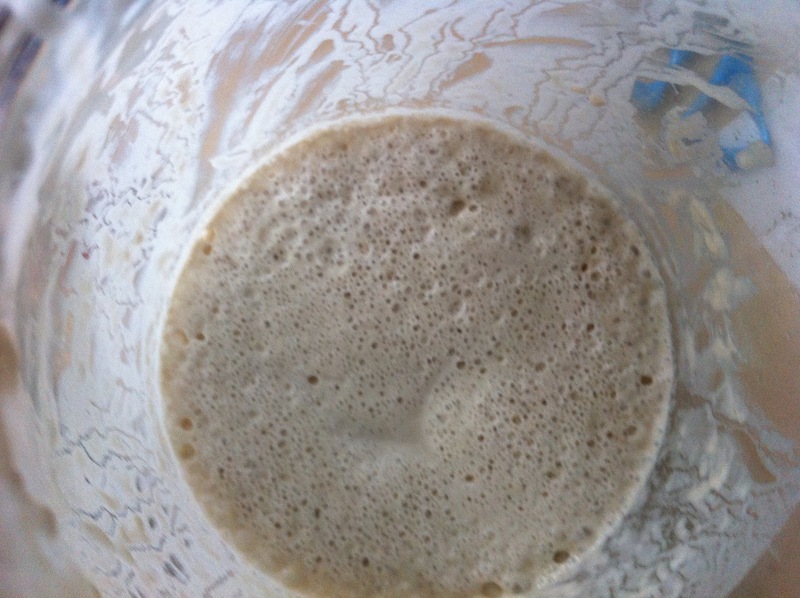 In a bowl mix flour and water until it becomes a thick batter and place in a piping bag. Snip the end off and pipe the crosses, I like to start from the work surface and pipe continuous lines over them all like a noughts and crosses board. When baked and browned on top brush the buns with the sticky orange glaze and leave to cool on a wire rack.